Today, your employees are more and more technologically empowered. With the consumer electronics market teaming with amazing gadgets and high-end devices, cool tech is no longer reserved for fancy geek toys. With employees bringing in their own smartphones and tablets, mobile security becomes a big concern for small businesses. 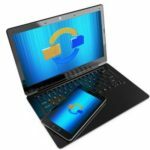 BYOD, or Bring Your Own Device, is common in todays workplace and you should embrace it, with good reason. Employees that bring their own devices to work tend to be more productive as they are able to view their schedule and email on their device. With the advantage of being mobile, your employees are then capable of handling business matters even when they are away from their desks. Companies that embrace the BYOD model also tend to see increased employee satisfaction and retention rates. 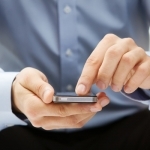 While there are far reaching benefits to the BYOD model, there are also risks. For one, there are so many different hardware platforms and software running on those platforms, accommodating that kind of diversity can be tricky. Moving access control mechanisms to the network is one way to begin addressing the issue. By doing so, any device can access your network without the need for specific on-device management software. Mobile devices most likely are not going to need access to certain critical areas of your network. Restricting access to such assets as a financial database or the like will help to keep those assets safe. Another factor that is common in Mobile Device Management is the ability to wipe the device in case it becomes lost or stolen. This added security measure will make sure that company data stored on the device can be deleted and kept away from those who are not authorized to view it. This is typically done by policies dished out by an Exchange server. Mobile devices are becoming increasingly present in todays workforce. While they can improve productivity and employee satisfaction, they are just as vulnerable as your desktop computer to malware and other attacks. However with an appropriate security policy and network controls, your company can reap the benefits of a more productive mobile workforce all the while, safeguarding sensitive company data. It’s time for your business to prepare for BYOD. Give us a call at PHONENUMBER to talk about ways to leverage mobile devices for your business. 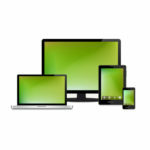 What’s so Great about BYOD?